There are 74 items in this list, view them all as images ? • 8 and 16 ohm speaker outputs, but can also drive 4 ohm cabs. • All valve. 25 watts. Using 2 x 6L6GC, 2 x 12AX7 and 1 x 12AY7. • Australian made, hand-wired, point-to-point. • Master Volume control to allow overdrive at any volume. • Mixable bright and dark input channels. • PROTOTYPE with 3 month warranty. • Three-way tonestack plus presence control. SPECIAL 'RAW' PINE PRICE! - No Tolex means more savings! Dimebag signature. Made in USA. 100W of searing, all-tube tone, 2 channels (clean and Dime), Sovtek 5881 power tubes, 12AX7 preamp tubes, Separate volume and 3-band EQs per channel, 2 master volume controls. Rev G, 100 Watt All Valve Head. Made in USA, Late 94. Dual 5U4G 'Coke Bottle' Rectifier valves. 4 brand new JJ tubes. Made in Melbourne. Handwired. Dirt channel is close to a "Train Wreck Rocket". Matchless style tone. 50 watts. Made in Canada. 2011. This is a one off. Hand wired. Dumble style. Rated about 20 watts. Australian made, hand wired, point-to-point. Master Volume control. 8 hm speaker output, can also drive 4 or 16 ohm cabs. 100w head valve. KT88 valves. Serviced by Tim Evans with new power valves. With footswitch. 30 watt Class A valve head. Two Channels. 8/16Ω outputs. Made in England. Two channel valve head Pull pots for bright, mid-notch and NINJA!!! 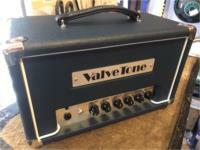 50 watt Valve head. 2007, Single channel with reverb. Recently retubed with 6L6 tubes by Tim Evans. FX loop. 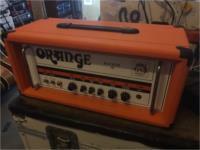 7/15/30 Watt valve head w/Orange Bag, serviced by Tim Evans. 50 watt all valve head. Designed by Bogner! 2 channels. Running EL34 power valves. Sounds mighty! 1 Watt valve head, 1xECC83 and 1xECC82, Two channels, Reverb. 1 Watt valve head, 1xECC83 and 1xECC82, Two channels, Stereo Reverb. 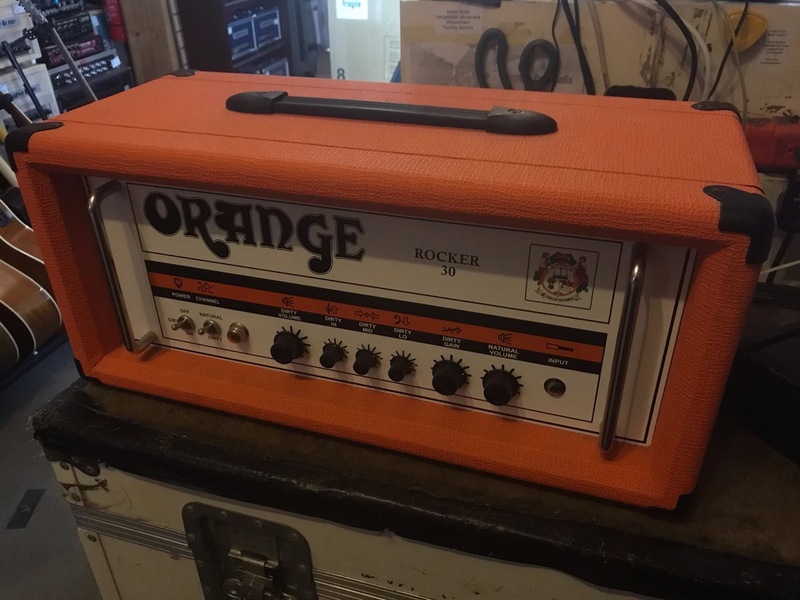 Micro amp, 20 watts RMS of Orange RAWK tone. 12AX7 preamp tube and a 20-watt solid state power amp. Headphone output and MP3 player input. • All valve, 15 watts, using 2 x EL84, 3 x 12AX7 valves. • 'VOX Top Boost' themed, with Bass, Treble and Cut controls. • Master volume to control level without substantial tone change. • 8 and 16 ohm speaker outputs, but can also drive 4 ohms cabs. • Installed in basic but robust raw pine sleeve. • Prototype/Demonstration model with 3 month warranty. • Hand Made in Australia - Point to Point wiring. • Fender themed but does not copy any particular Fender model. • All valve, 15 watts using 2 x 6V6GT, 2 x 12 AX7 valves. • Comprehensive Tone and Gain Controls with 3-Way EQ and 3 switches. • Works well with pedals. • All valve, 45 watts, using 2 x EL84, 3 x 12AX7 valves. • 'VOX Top Boost' themed, with 2-way tone and cut control. • New with 12-month warranty. • Hand Wired in Australia. LJ is an acronym for "Little Jim". • All valve, 50 watts/ using 2 x EL34, 3 x 12AX7. • Single input, but with mixable Bright and Dark volume controls. Wide tonal choice with 3-way tonestack plus presence control. Master volume to control level without substantial tone change. • 8 and 16 ohm speaker outputs but can also drive 4 ohm cabs. • Australian made, fully hand wired point-to-point. Enter your email address below to get alerts for Valve heads.